Clear front highlights title page. Back and spine add attractive color. Choice of color for personnel or report topic. 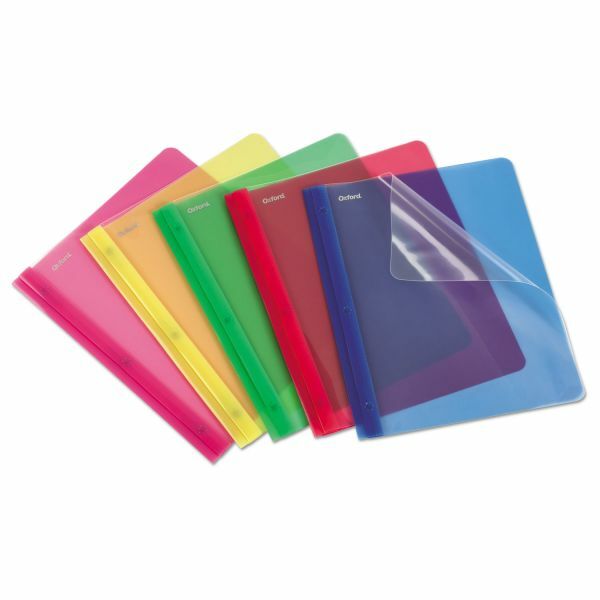 Oxford Translucent Poly Clear Front Report Cover, 3 Fastener, Letter,Assorted, 25/Box - Report covers with a clear front offer a full view of title page for instant customization. Three metal fasteners hold sheets of three hole-punched, letter-size papers. Super durable, translucent polypropylene is wear-resistant, tear-resistant and moisture-resistant. Assortment includes blue, red, yellow, pink and green.